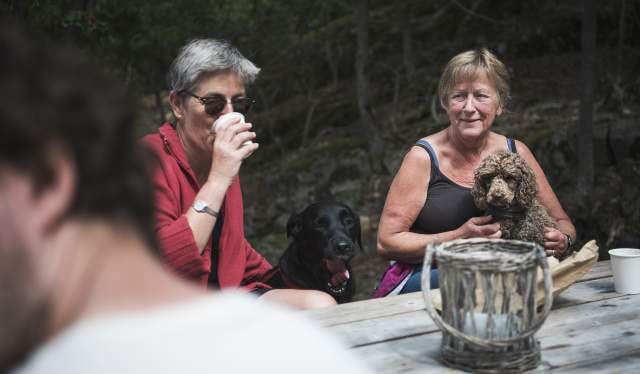 After a one-hour boat ride from Oslo, you can eat freshly baked bread with Chèvre cheese. Both are made without using electricity. 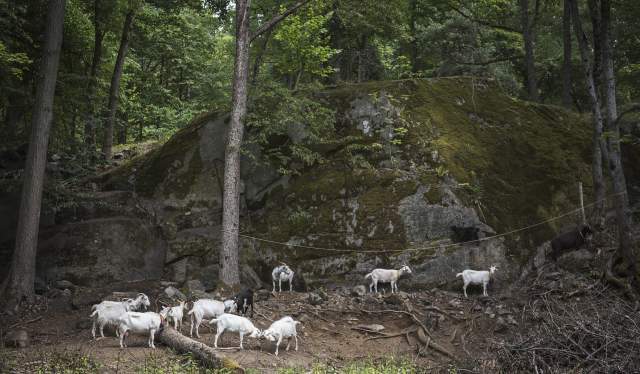 On Håøya Island in Oslo Fjord, you will hear the jingle of goat bells and bleating. It is the sound of a herd of hairy milk producers with an ever-growing fan base. They chew on grass or lie dozing in the shade, but come running as soon as the farmer shakes a bucket of pellets and yells "come and get it, nice girls!". 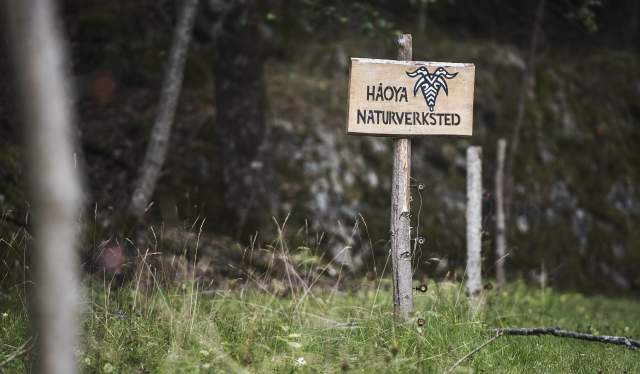 "There's the work crew, right here," says farmer Helge Haugen at Håøya Nature Workshop; the café that serves fresh baked goods, French Chèvre cheese and cured goat meat all through the summer. With the exception of being closed on Mondays. "I really feel that we have succeeded in getting people back out here again. When we started, there were just ticks and misery here. The dense vegetation made it dark, sad and scary. Now it's open, bright and provides a unique experience for people in the area. The ferry trip from Aker Brygge takes just over an hour. If you want to return the same way, you can remain on the island for one hour and 45 minutes or until the next day. It is possible to stay overnight on Håøya if you bring a tent or rent one of the coastal cabins. Despite this, Håøya is still chiefly visited by guests with their own boat, and the mooring options are becoming more numerous and better. The road from the ferry dock has signs posted indicating the way to the café. 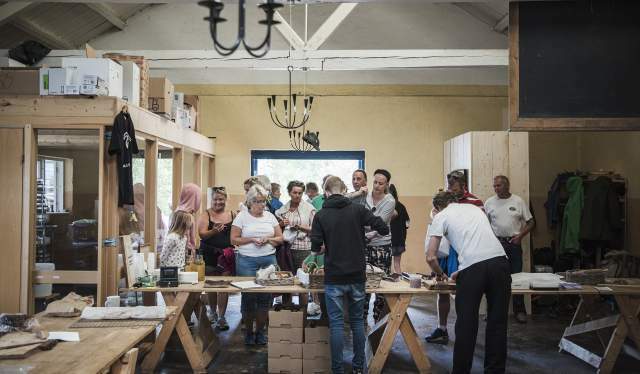 It ends on a knoll with views of the Oslo Fjord, picnic tables with wild flowers in jars and an old dynamite factory where the tasty treats are made and sold. "Hello, Hello!" "Welcome," shouts Helge to a group of shorts-clad guests. He has put down the pellet bucket and assumed the role of host and waiter. The guests follow the scent of freshly baked cinnamon buns and soon return with baked goods, Chèvre cheese and cured sausage. 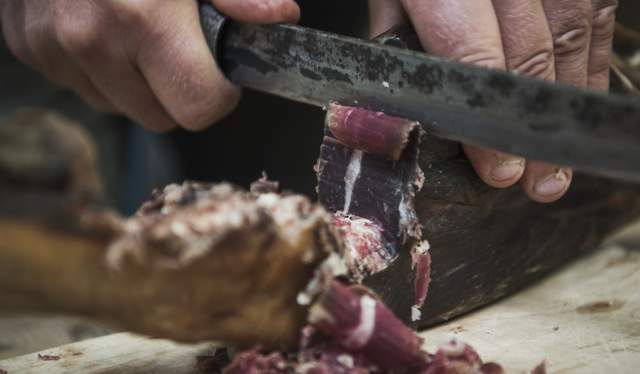 "When you have the world's best goats, you get the world's best cured sausage," which is repeated by both Helge and his sons as they serve guests. Inger Oline Røsvik and Astri Pestalozzi are among those who have moored their boat at Drag Sound and walked up to the café on the knoll. Now, they are eating lunch in the sun after getting a tip from someone they met on their boat trip. "I had no idea it was so nice here," says Inger before praising the raisin and cinnamon bread. "I'm going to bring my grandkids here, so they get to see the goats," says Astri. Before leaving, they buy more cured sausage and Chèvre for their boat trip. 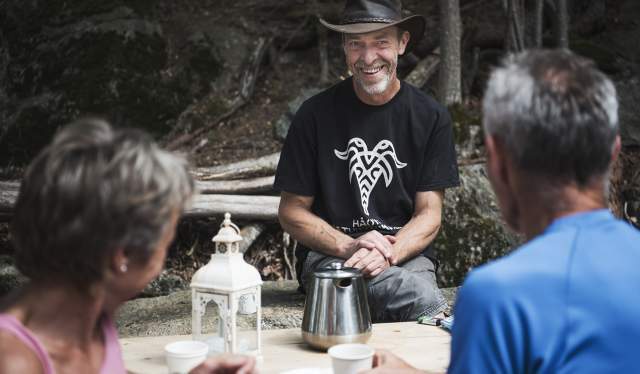 The goat adventure began in 2010 when someone from Oslo municipality, which owns Håøya Island, called goat farmer Helge. Could he let his goats graze on their overgrown island during the summer months? Of course! He took along 40 goats the first year, then 70 and 120. Now there are 200 of them working for the municipality. Summer guests have begun to return, even if the number of visitors is still far from what it once was in the '50s and '60s. 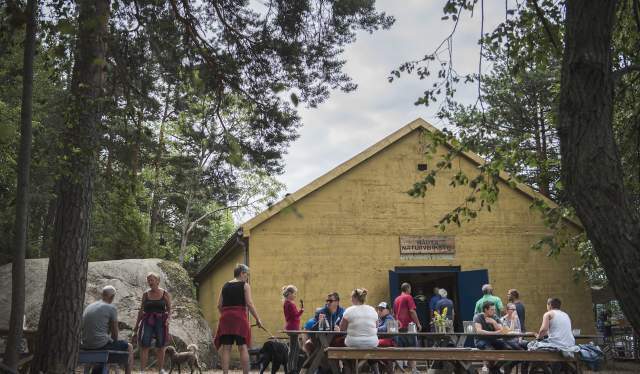 Back then, the island was a holiday paradise for tent-dwelling working families from Oslo, and up to 100,000 visitors might stop by during a given summer. In 2013 Helge got a call from chef and cheese seller Yngve Tingstad: "Hi, I need help making Norway's best cheese! ", he said, and the goat farmer liked the idea. Lise Brunborg, who has a master's degree in white goat cheese, also joined the team. "Our Cashmere goats had never been milked. So, while one of us distracted the goats by feeding them pellets one by one, someone else was busy trying to get them accustomed to being milked," says Helge. 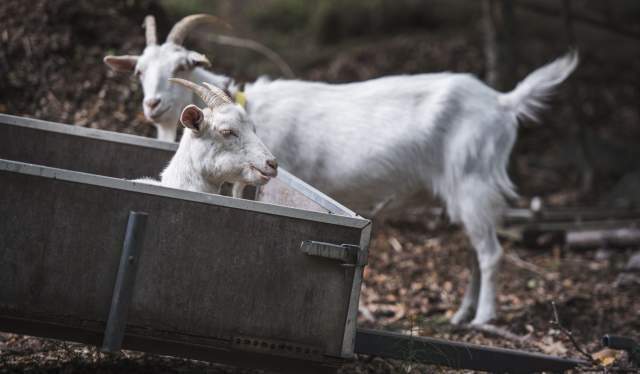 In 2014 the trio went to Håøya along with the goat herd. It was a laborious summer, not least because they operated with very flexible opening hours. People would knock on the door as late as midnight and expect service. But, it was undeniably a success. 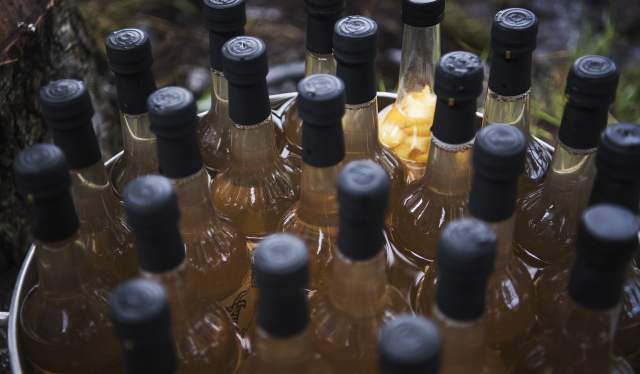 "20 days after we made the first cheese, it was added to the menu at a Michelin-rated restaurant in Oslo. It was chef Bent Stiansen of Statholdergaarden who embraced us," says Helge. Since then, a number of restaurants and delis in and around Oslo have done the same. On the island, smart solutions quickly became a part of everyday life: Due to the lack of a payment terminal, they filled out IOUs with the total amount and account number and asked the customers to pay later. Their accountant was ripping her hair out, but the improvised payment system worked just fine. 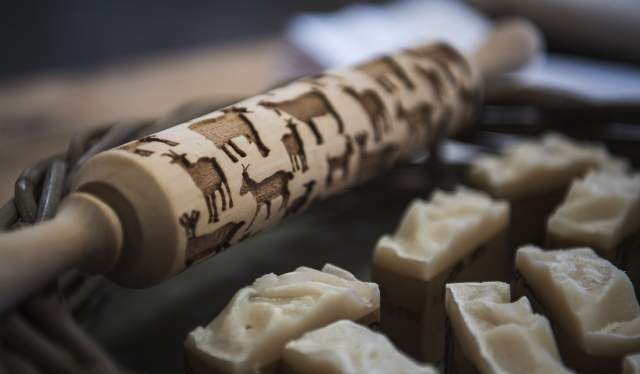 "We also made cashmere caramel candies, which served as small change and was something our guests found very charming," says Helge. Nowadays, the Vipps payment app from DNB and cash are the preferred payment methods. When Yngve and Lise were getting started with new projects in 2015, Yngve went home and asked his wife Johannica what she thought about spending the summer on Håøya. Thus, the nature workshop became a family business where their sons Eigil and Sasha also help out. In the summer of 2017, they hired an Italian cheesemaker named Salvatore. "No cheese productions are alike. Taste and consistency vary with the conditions nature provides, such as wind direction, temperature and humidity. While others want to create exactly the same product over and over again, we aim to bring out the differences. 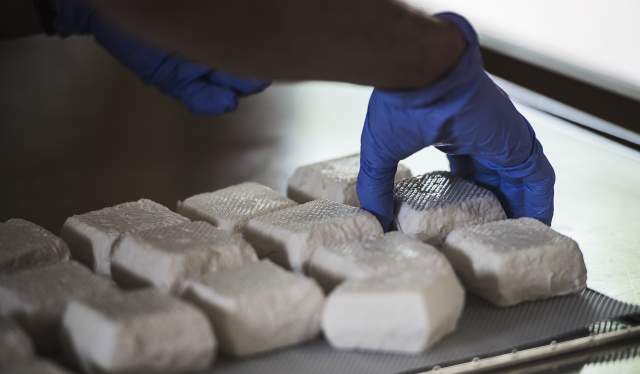 Today, you get a cheese like that, and tomorrow you get something different," says Helge. Helge is focused on sustainability. The production is intended to go in a circle where everything is put to use: The goats graze so that the island does not become overgrown and so that the ticks will not thrive as well. 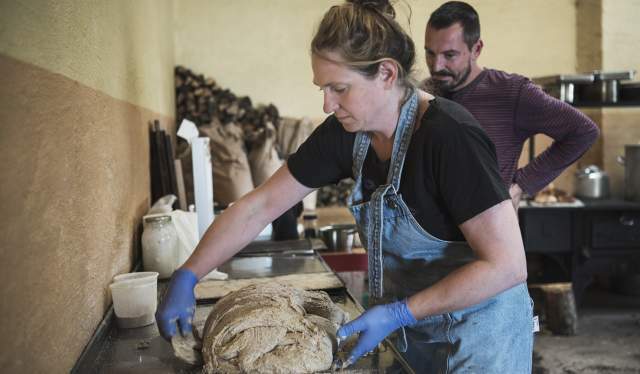 The goat's milk is used to make Chèvre, and the whey that is a by-product of our cheese production is used instead of water when we make buns and bread. 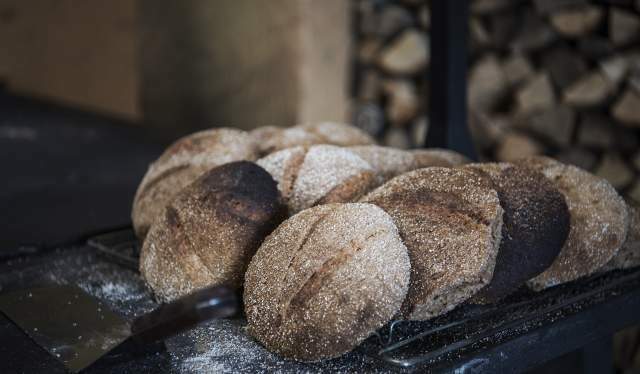 These are baked in a wood-fired oven from 1885, which uses wood harvested on the island as fuel. "There is a lot of forest here, and many big trees. If we had let everything be, the new vegetation would not get any light to grow," says Helge. They use the fuel to make environmentally friendly coal. "We want it to be used as an alternative to disposable grills," he says. The next step will be salt production. 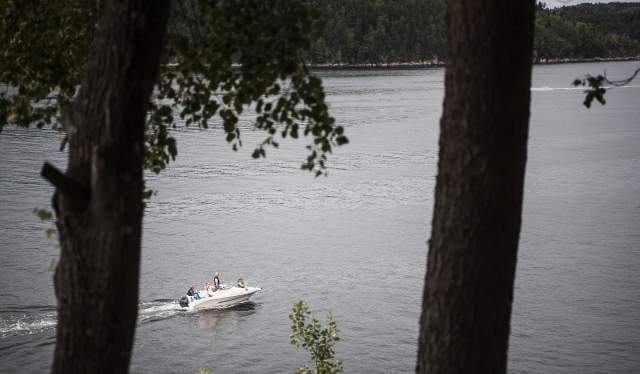 "We get water from the Oslo Fjord and the salt is extracted using heat from charring the coal. We can use some of the salt in the food, but we also want to offer Håøya Salt to our guests. That way, they can salt their food throughout the winter while thinking of this place. It apparently led to great fascination among the guests when they recently fired up a pot of salt from the fjord. "It has a bigger 'wow factor' than the cheese production, perhaps because it is less abstract and very easy to understand," says Helge. 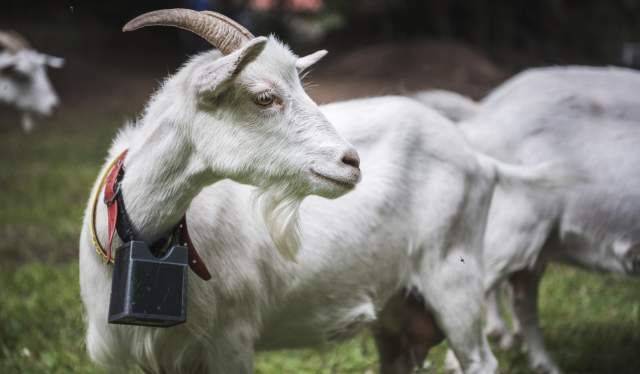 According to the goat farmer, they have already grown out of their existing premises, and the need for space is increasing with several hundred guests being served on a given day. "We have begun to explore the possibility of renovating an old brick building a little further into the island," says Helge. In addition to increased production, more space will make it easier to show visitors what they do and how the processes are done. Both for guests and through educational programmes for schools. "It's awesome to think about what we can accomplish here. A little scary, too," he says and smiles. Oslo's garden colonies are now fully in bloom. Did you know that you can walk through them to enjoy the colours, fragrances and pleasant tranquillity? Experiencing Norwegian nature in the "downward dog" or "child's pose" can give your mountain trip a new dimension.